Car Meets Sackville Esso. (Pic) | Sack-Vegas!!!! 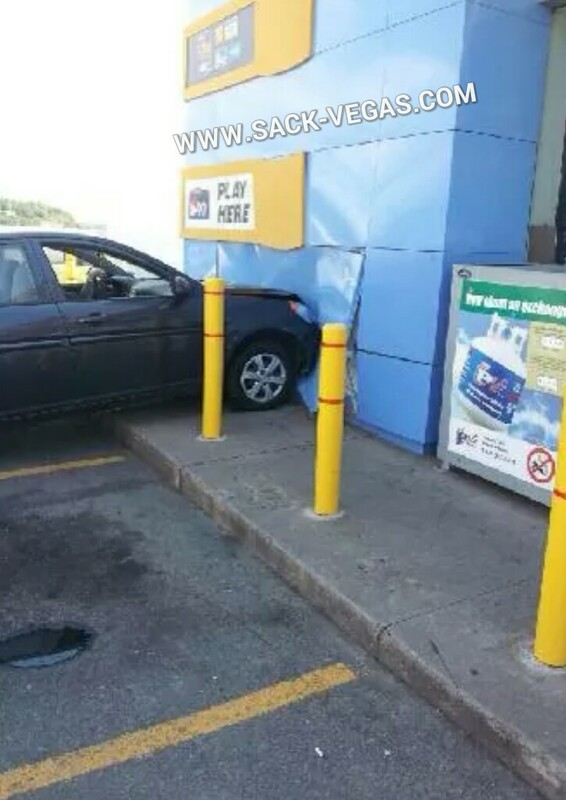 OK this was the scene a little over an hour ago down at the Sackville Drive Esso/Timmies. I’m hearing everyone is allright. Apparently there is an office on the other side of that wall and a fella just got up from his desk a bit before and bam! Glad to hear no serious injuries occurred! Gotta keep your head up in parking lots too, folks. This stuff happens fairly often. I have older posts…Goodlife Fitness…National Jewelry…. Posted by Sacky on August 12, 2014 in Uncategorized.